Yesterday, my assistant Peam Saisombat, a young Thai woman studying winemaking at the famous Geisenheim wine university, and I pruned 6 rows of Riesling vines in the Nonnberg site of Weingut Flick in Wicker at the eastern end of the Rheingau. Reiner Flick has leant to us them for the rest of this year so I can make a Riesling wine from in his cellars. And we’re doing all that in front of the camera for the feature length documentary film WEIN WEIBLICH. I can’t deny that right from the beginning I never hesitated, and from the moment that Marco Schulze first pointed his camera in my direction in Restaurant Heimat in Frankfurt on December 6th, 2017 there was no turning back. In spite of that, there’s also no doubt that Christoph Koch and Gunnar Swanson of the film production company frames2art are equally responsible for my current predicament. We’re all guilty as charged! Guilty? Yes, of taking the feminization of wine in Germany seriously. I remember that around 1990 I got my first commissions from magazines to write stories about women winemakers. At the time this seemed like an important thing to do, because there were rather few of them and they often struggled for recognition. 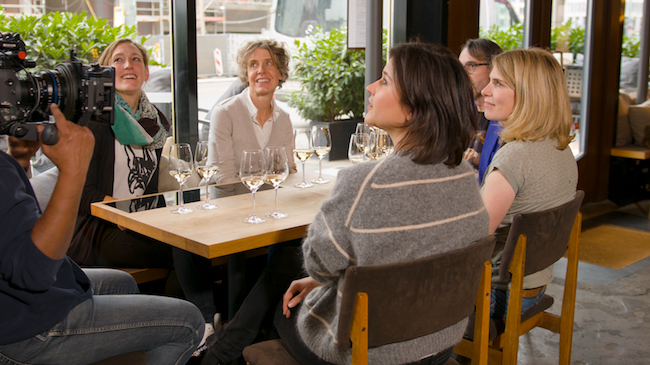 However, during the next decade the situation for women in the German wine industry changed dramatically for the better. As a result I changed approach to watching out I didn’t miss the talented, then treating them exactly like the guys. In spite of this when I began a year as a guest student in Geisenheim/Rheingau in October 2008 I was pleasantly surprised to find nearly half the students were women. Now they’ve got a better position in the German wine industry than in that of almost any other major wine producing country. But why make a movie about all that? I don’t think it would have happened if I hadn’t met Christoph and Marco back in the spring of 2007 at the Darmstadt/Germany HQ of the email-provider T-Online. There, with a minimum of technology and time we shot what is still my most successful YouTube video (see: www.youtube.com/watch?v=L8J8tBreHTQ) with around 10,000 views. Not bad considering it’s in German without English subtitles. I returned to that studio a couple of times and developed a great creative relationship with them, but then our paths separated. Fast forward to an Italian Café in Wiesbaden on February 9th, 2017 and my first conversation with Christoph in a decade. He convinced me that although I was very well aware of the wine winemakers the wider public’s awareness of the feminization of wine was lagging well behind. That provided compelling logic for his proposal to shoot a 100 – 120 minute movie introducing the world to this social and cultural change in Germany. Now I’m in the same filmmaking boat with four successful thirty-something women winemakers: Theresa Breuer of the Georg Breuer estate in Rüdeheim/Rheingau, Dr. Eva Vollmer of the eponymous estate in Mainz-Ebersheim/Rheinhessen, Katharina Wechsler of the eponymous estate in Westhofen/Rheinhessen and Silke Wolf of Shelter Winery in Kenzingen/Baden. Their names are familiar to anyone who closely follows the astonishing renaissance of the German wine industry since the last turn of the century (the most important theme of my writing). When we told this quartet we wanted to follow them over a period of about 18 months as they each produced a dry Riesling wine, from pruning of the vines through to the finished wine being tasted for the first time (in July 2019) they accepted the challenge, but collectively demanded I do the same thing. It’s true I once made an experimental wine but it was a dry Müller-Thurgau and that was back in 2009. That’s why yesterday, I suddenly found myself with a pair of old vine pruning shears in my hand. So help me God! German wine usually comes in six packs, so we decided to add a young woman winemaker at the very beginning of her career to add a yet younger perspective. A casting day at the wine university in Geisenheim left us with an extremely difficult choice, because we had 10 strong candidates for this role. 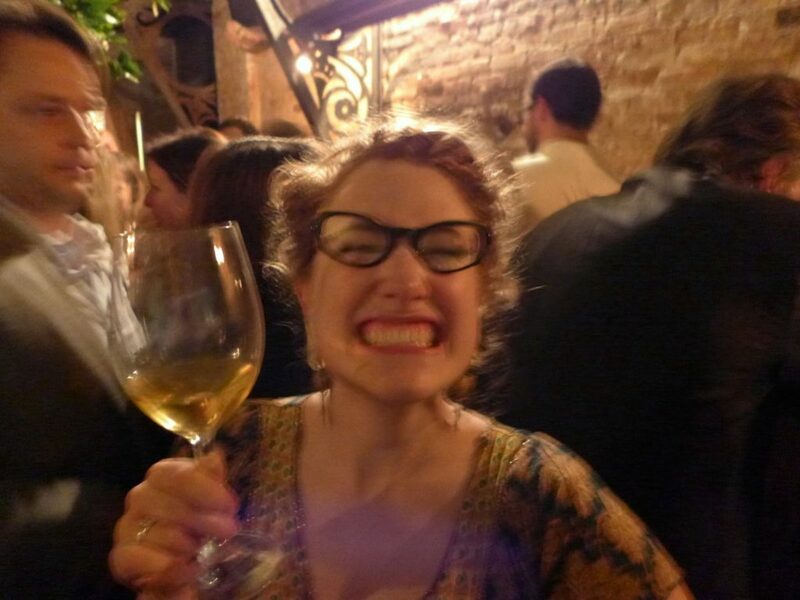 Finally, we decided in favor of 27 year old Carolin Weiler of the tiny Weiler estate in Lorch/Rheingau who abandoned a career as a kindergarten teacher to study wine with the goal of taking over her family winery. Another of the candidates, Peam Saisombat, became my assistant, and that made me feel a lot more confident about making my first ever Riesling. All of this is unusual enough, but the way we have, financially speaking, thrown ourselves off the trapeze without a safety net is completely new to me. From spring 2010 through fall 2012 I co-wrote and anchored eighteen TV shows (30 minutes each) called Weinwunder Deutschland together with director Alexander Saran. That project was bankrolled by BR, the state TV network of Bavaria and was my largest source of income during that period. We started shooting WEIN WEIBLICH without any of the approximately 80.000 Euros we need to complete the project, a figure that doesn’t include any pay for the core team of Christoph, Gunnar and I, or for the women winemakers! Who doesn’t want to taste the best wine in the world? One theory says the only possible way to do this is to go straight to Burgundy/France, do not pass Go and do not collect $200. At JamesSuckling.com we don’t roll quite like that, but we’re open for all the wines of the world including Burgundy, so in January we spent some fascinating and hectic days tasting in the region. In Burgundy I keep bumping into winemaker and somm friends from far away and it happened three times last time! 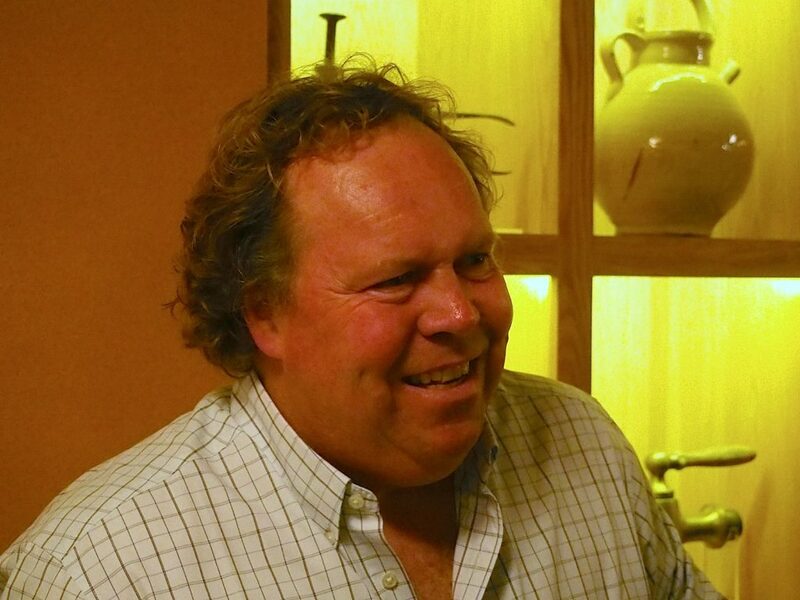 The first time I was crossing the Place Carnot, the central square of Beaune when voila there was Norman Hardie – pictured above – my favorite producer of Chardonnay (the signature grapes of Burgundy) in Ontario/Canada. “Norm” greeted me warmly and introduced me to his two hip young companions. One of them then said to me with enormous gravitas and no hint of irony, „so you came to worship at the shrine.” It was a statement not a question, because the hipster was sure Burgundy is holy. When I answered, “no, JamesSuckling.com and I aren’t interested in Holy Burgundy. We’re interested in the Real Thing, the real place and the real wines!” the young Burgundy Buddha was deeply shocked. How could that be? NO!!! No other wine-producing region in the world is more idealized and more weighed down by myths than Burgundy. That wouldn’t matter – we believe in the freedom to worship whichever God you want! – if it wasn’t for the way this helps inflate wine prices and promote misconceptions about this beautiful and historic region. Burgundy is famously all about “terroir”, the French word for the taste of the place, but often that’s presented as a mystery so profound only Burgundy Buddhas can even begin to understand it. For us the problems arise when some people, particularly people whose job it is to sell these products start complicate everything in order to make the wines seem more special than any wine can ever be. The result is not only a culture of veneration, but also explanations for the wines that are as convoluted and narrow as the Medieval streets of the region’s towns and villages. And I promise you they are extremely convoluted! Again and again we’ve been told by Burgundy Buddhas that the wines of this region are horribly difficult to understand, although the classification system – regional wines, village wines, Premier Cru vineyards then Grand Cru vineyards – is actually as easy as 1, 2, 3, 4. We recommend you treat the hysterical adulation of and holy-than-thou marketing hyperbole for Burgundy with the same healthy degree of skepticism that we do. Norman Hardie and his two cool companions also reminded me of the other huge problem for this region. “Where did you taste this morning?” I asked them on the Place Carnot. “Oh, the best! We were at Domaine Coche-Dury,” he answered. And it’s true that no white Burgundy wines have a higher reputation around Planet Wine than those from Coche-Dury. “Of course, we didn’t ask if we could buy a bottle,” Norm told me, and that’s equally true. Try to buy a bottle of Coche-Dury in one of the luxury wine stores on the Place Carnot and you’ll either draw a blank or you’ll pay many times the price that the lucky few with an allocation at the domaine do. Norm goes there because although the Coche-Dury wines taste totally different to his own he finds inspiration in them. Of course, that’s great. The cult surrounding the wines of this domaine, along with those of many other famous Burgundy domaines, is so extreme that even the world’s leading restaurants can’t buy from importers anywhere near the quantity they need to keep the wines on their lists year round. Aldo Sohm, the humble chief sommelier of Le Bernardin in New York explained that situation to me. He told me he has no choice but to scour the secondary market for every bottle he can find, “and, of course, I’m not the only person doing that!” This is one of the factors pushing prices for the wines of the most famous Burgundy domaines up from the stratosphere towards outer space. What relevance would ratings JamesSuckling.com have for a totally over-heated market like that have? We humbly suggest the answer to this question is, “absolutely none”. And as you will see from our report there are other producers whose wines are rather widely distributed, so that you can buy them in the normal way! Some of them taste so good I’d consider licking them up off the floor! 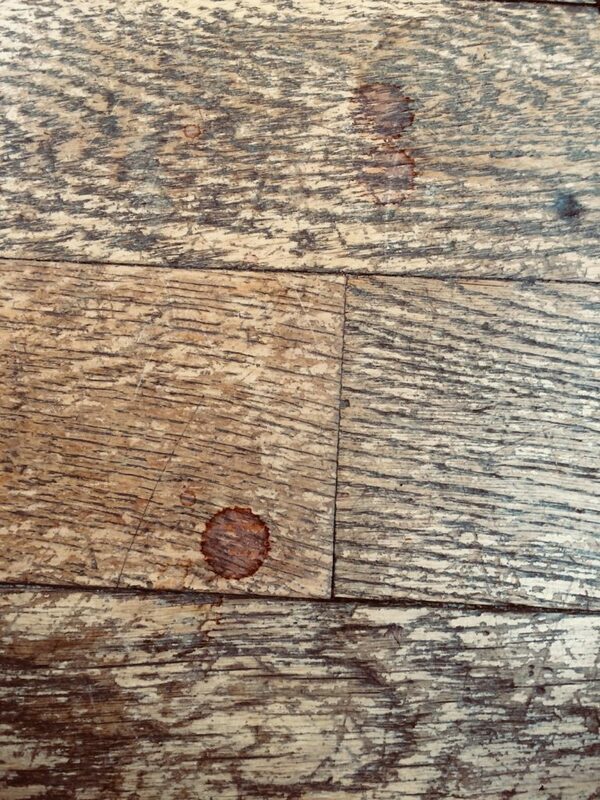 PS There’s a prize for anyone who can recognize the Burgundian tasting room floor in the picture below! 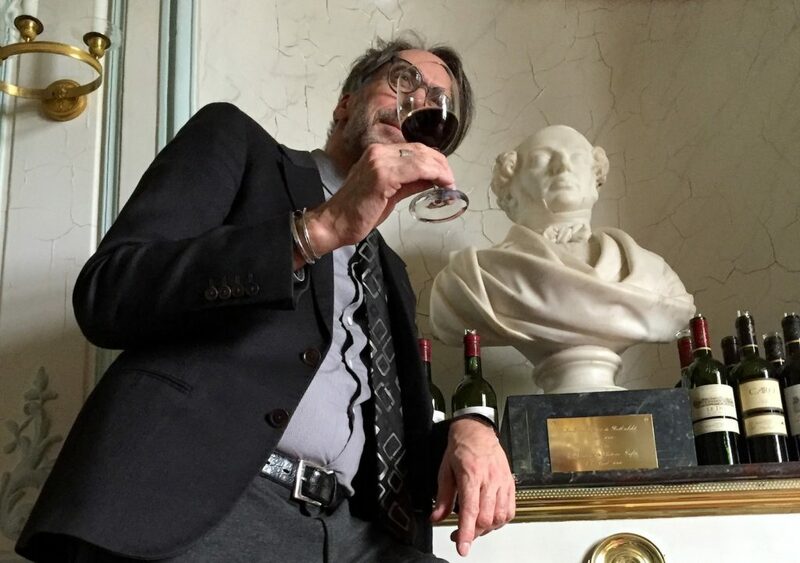 As you can see from the photograph above, taken by Nick Stock on January 15th at Château Lafite Rothschild, after steering clear of red Bordeaux for quite a few years #bordeauxisback and I’m getting back into Bordeaux with enthusiasm. My lack of interest for red Bordeaux during the decade beginning 2006 had a lot to do with the high prices asked for the excellent 2005, 2009 and 2010 vintages. Since then prices shifted back down to more reasonable levels while prices in a bunch of other regions specialized in high-end reds continued to head skywards. During my three tours of the region since November 2016 and most recently in January 2018 with the JamesSuckling.com team I found plenty of excellent wines in the Euro 10 – 50 range from the 2014, 2015 and 2016 vintages. It’s a long time since Bordeaux had so much excellent wine to offer! I also came to the conclusion that as long as legendary wines like Château Lafite Rothschild also taste legendary there’s no problem with three figure Euro prices. “Expensive” is one of the most elastic words out there, not least because it’s so personal – you decide! – and often depends on both situation and mood. The other reason for my renewed enthusiasm for Bordeaux is that after some pretty wild stylistic exaggerations that had a lot to do with certain producers trying to cash in Robert Parker’s then enormous influence upon the market there’s been a return to sanity. The long Parker Period is not only over, it’s starting to feel like history. When I was in Bordeaux in January with James Suckling and Nick Stock tasting primarily the 2015 vintage wines in bottle for JamesSuckling.com, I frequently felt a connection between the new wines and the best I tasted when I was introduced to red Bordeaux in London back in the early 1980s. The best comparison is with the string of 1982 cask samples I was lucky to taste (although the 2014s are lighter, the 2015s crisper and the 2016 firmer than those wines). Small quantities of 1982s – I was a poor art student – were amongst my first wine purchases not destined for immediate consumption. Wines with dominant new oak aromas are now as rare in Bordeaux as those that are massively extracted, both techniques that attempt to magnify the stature of red wines. I’m sure that reverse osmosis concentration and micro-oxidation machines are still being used in some cellars, but today none of the winemakers treat them as short cuts to high quality as was once the case. Sure, some winemakers are picking the grapes later than I would if I was in their shoes, but that’s not manipulation, rather an aesthetic decision on the part of the winemaker. It helps create the wonderful stylistic diversity in Bordeaux. The result of this is not only well balanced wines with an attractive freshness (very pronounced in 2015), but also that taste of their appellations and sometimes have a clear vineyard character. There’s so much character that it would be possible to write lengthy stories about a bunch of individual producers scattered throughout the region. Isn’t that what we’re looking for? For quite a large chunk of the wine scene in the West the answer seems to be “NO!” in this case, because for them Bordeaux is passé. I’m talking particularly about those somms, journalists and merchants focused on so-called “natural” and orange wines. For many of them red Bordeaux is an industrial and elitist product that’s grossly over-priced. To me it looks like they talked themselves into this corner, and often they can’t really explain why they see the region that way. I humbly advise anyone who hasn’t taken Bordeaux seriously during recent years to study the reports on the 2014, 2015 and 2016 vintages on JamesSuckling.com because there’s so many stunning wines out there, some for friendly prices. Here’s a link to the report on the 2015s in bottle. Enjoy! 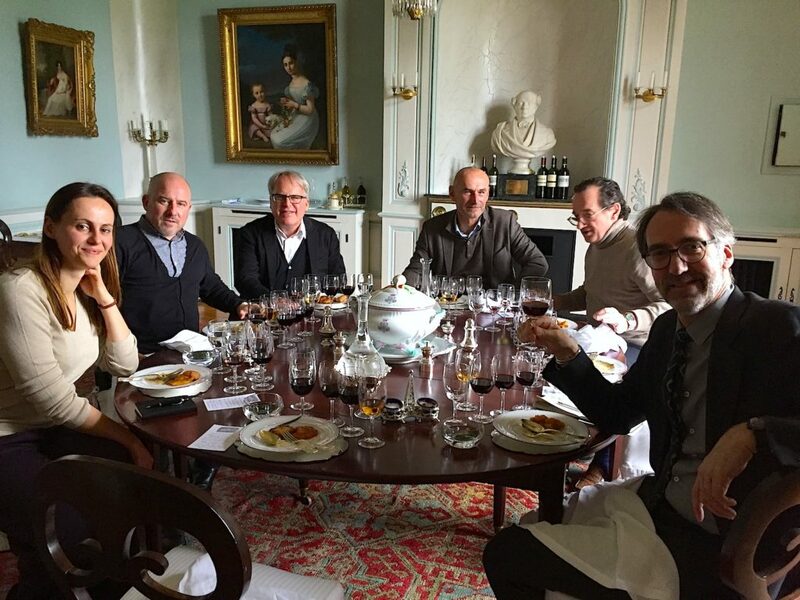 And just to show that I don’t only use eccentric photos, here is a more conventional one showing Nick Stock (second from left), James Suckling (third from left) and I (far right) with members of the Château Lafite Rothschild team. I am a small part of the documentary movie WEIN WEINBLICH or Wine Women team. We – Christoph Koch, Gunnar Swanson and I – are seeking a young female winemaker who is studying at the Geisenheim Wine University to be one of the stars of this movie. There is no age limit and you don’t have to be from a wine background, nor do you need to look anything like a Hollywood movie star! Because fluency in the German language is a requirement the German version of this announcement precedes the English version. Stuart Pigott sucht das größte Nachwuchstalent unter den angehenden Winzerinnen an der Uni Geisenheim! „Wein Weiblich“ ist ein Dokumentarfilm in Spielfilmlänge (100 Minuten plus) für den wir eine Jungwinzerin suchen, die Studentin an der Hochschule Geisenheim ist. Ihre Aufgabe: Sie muss einen eigenen Wein machen. Die Vorgabe: Trockener Riesling, Jahrgang 2018 (min. 300 Liter). Vom ersten Rebschnitt bis zur Abfüllung begleiten wir Sie mit der Kamera. Im großen Finale findet eine Blindverkostung mit allen Weinen der Protagonisten statt. Mit dabei sind die Winzerinnen Dr. Eva Vollmer, Katharina Wechsler, Silke Wolf (Shelter Winery), Theresa Breuer und der Weinkritiker Stuart Pigott, der für dieses Projekt auch einen eigenen Wein kreiert. Am Besten haben Sie genauso viel Spaß an der Sache wie wir. Dann wird es richtig gut! Bitte nicht vergessen: wir sind NICHT in Hollywood! Unser Ziel ist so nahe wie nur möglich an die gegenwärtige Realität des Weinbaus zu kommen! Am 31.01.2018 findet unser Casting an der Hochschule Geisenheim statt. 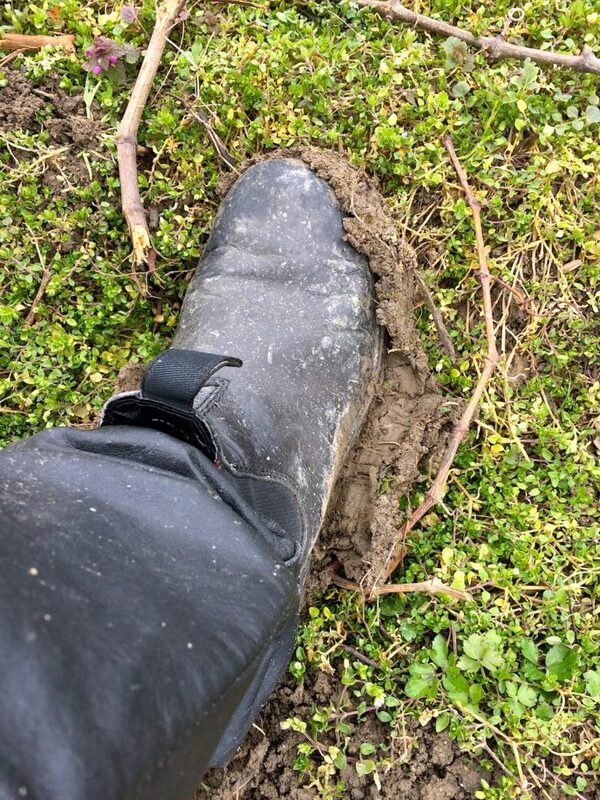 Sie müssen sich und Ihr Weinbauprojekt „Trockener Riesling 2018“ vor uns und der laufenden Kamera präsentieren (max. 10 Min., jede Teilnehmerin bekommt einen eigenen Termin). Sie erhalten zwar kein Geld, aber werden zum SUPERSTAR! 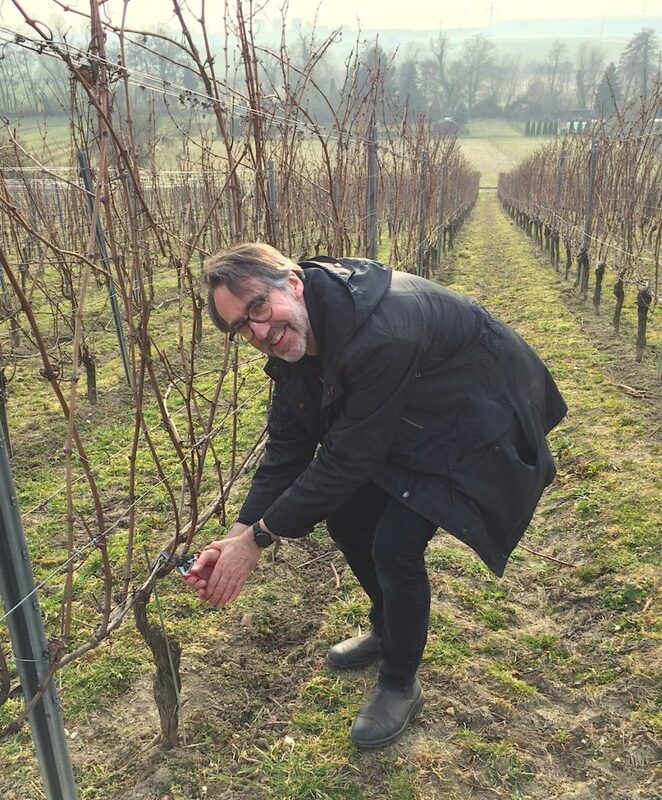 Stuart Pigott seeks the best new winemaker talent amongst the female students of Geisenheim! „Wein Weiblich“ is a documentary film of feature film length (100 minutes plus) for which we are seeking a female student at the Hochschule Geisenheim. From the pruning of the vines to the bottling of the finished product our camera will follow how you make your wine. 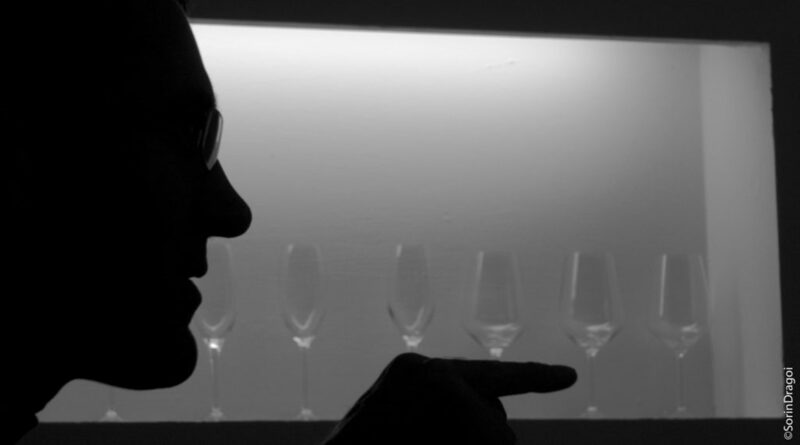 The finale of the film will be a blind tasting in which the wines of all the protagonists will be included. This means that your wine will stand next to those made for our film by Theresa Breuer, Silke Wolf (Shelter Winery) Dr. Eva Vollmer, Katharina Wechsler and the wine critic Stuart Pigott. Ideally you will have as much fun doing all this as we will filming it. Then the results will be really good. Please don’t forget that this is NOT Hollywood! Our goal is to get as close to the contemporary reality of winemaking as possible! The 31.01.2018 is the casting day for this role and the casting interviews will take place at the Hochschule Geisenheim. You must then present yourself and your dry Riesling 2018 project to us in front of the running camera (maximum 10 minutes per candidate, each of whom get an appointment to prevent long waiting times). Unfortunately we can only accept 20 applications, since this is the maximum number of casting interviews we can on 31.01.2018. Therefore it is important to apply as soon as possible. Shooting begins with the casting interview and extends through to the end of the summer 2019 (in total you can expect c. 8-10 days shooting). But it’s your chance to become a SUPERSTAR! Stuart Pigott and the WEIN WEIBLICH film team look forward to working with you! Who believes in the beauty of wine? James Suckling (pictured above) and I, along with many others too. However, some of our colleagues seem to have a problem with it. My report about the wines of the Nahe region of Germany came out just a few days ago on JamesSuckling.com (for the link scroll to the bottom) and very quickly it became clear that while many wine lovers agree with me about their beauty, some of my colleagues are stunned and outraged by my report. What’s the problem? 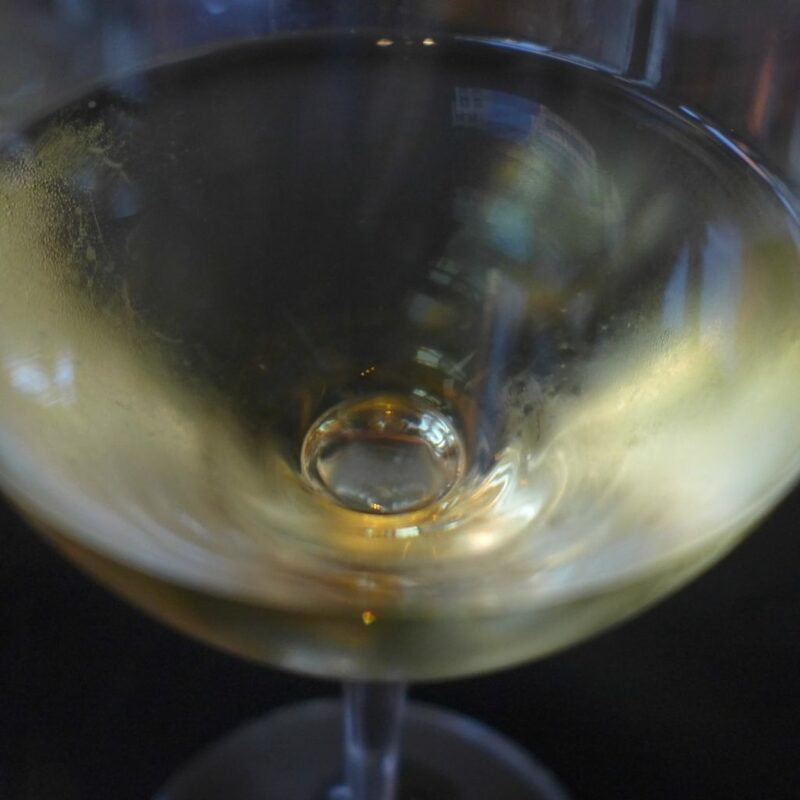 It’s very simple really: I dared to rate many dry and sweet Rieslings from rising star producers 90+ and some 95+ because that’s how good the wines struck me when I tasted them. For us at JamesSuckling.com the taste of the wine is everything; fame gains a producer no extra points and being unknown denies them no points either. We are fundamentally democratic in our approach and open for every kind of wine beauty. Over the last 20 years the printed guides to German wines – there are now 5 of them! – developed a system of rating not only individual wines, but also producers. The problem with that approach seems to be that if a producer is highly-rated, then their wines get higher scores than they would if the producer was less highly rated. During my research for the series of German wine reports (Mosel, Rheingau, Rheinhessen, Pfalz and Nahe) I wrote this year for JamesSuckling.com I was repeatedly told by rising star winemaker in Germany that they didn’t get 90+ scores from one or other German wine guide, “because I’ve only got two stars/grape symbols, not four or five.” Looking at several of the guides (Falstaff seemed to be an exception) I could see exactly what the young winemakers were talking about. The problem with this situation is that it results in a distorted picture of the nation’s wines being communicated to the readers of the wine guides. I reject this not only because it creates a strange hierarchy but, more importantly, because the ratings fail to reflect what you or I can taste. The beauty of certain wines doesn’t seem to count fully for some of my colleagues. Of course, giving a wine a 95+ score makes a big statement, and the words of description I used for these wines on JamesSuckling.com do the same thing. Of course, I am sticking my neck out with them and if the majority of readers disagree with me about the beauty of that wine, then I made the opposite mistakes to the wine guides. However, in my opinion every wine critic must be willing to take that risk to state her or his opinion as clearly as possible. Certainly, this is how James Suckling has worked over the 30 years I’ve known him, and this was an important reason for me to join his team. I must point out that these “high” ratings are not the product of my desire to lavish praise on underdog producers. Rather, they result from the great ambition, determination, perfectionism and rigorousness of the new generation of German winemakers who emerged from the last turn of the century. They have created a wealth of new wine beauty and this demands my attention. However, because of the inherent conservatism of their methods and what strikes me as a grudging attitude to recognizing the achievements of young talent, the printed wine guides are lagging behind this development. All too often their ratings seem to be influenced by the situation 5, 10 or more years ago. Maybe I am wrong, but my gut tells me that behind this problem lies in the longing for more certainty than is realistic in our rapidly changing world. Many of my colleagues seem to yearn for is a canon of classics that though not static, changes by small increments that are determined by them. They want the illusion that they are in charge, when the truth is that the market is the decisive thing. At JamesSuckling.com we want to be part of that dynamic and believe that doing so enables to have more influence than if we try to pull the breaks on. None of this means that we are against giving well-established producers top ratings if their wines deserve it. Some of my favorite wines during JamesSuckling.com tastings this year were 2014 Château Mouton-Rothschild (rated 98), 2008 Vega Sicilia Unico (rated 100 points) and the 2015 Hermannshöhle Riesling GG from Dönnhoff (rated 97 points). Take a look at the Nahe report on JamesSuckling.com by using the link below and decide for yourself. Please note that you can read the story for free, but to see all the ratings and tasting notes you have to take out a subscription. The only thing we have in common with the wine guides is that you have to pay for the results of extensive tastings. Please don’t hesitate to tell me what your impression is. You can easily find me on Facebook and Twitter. 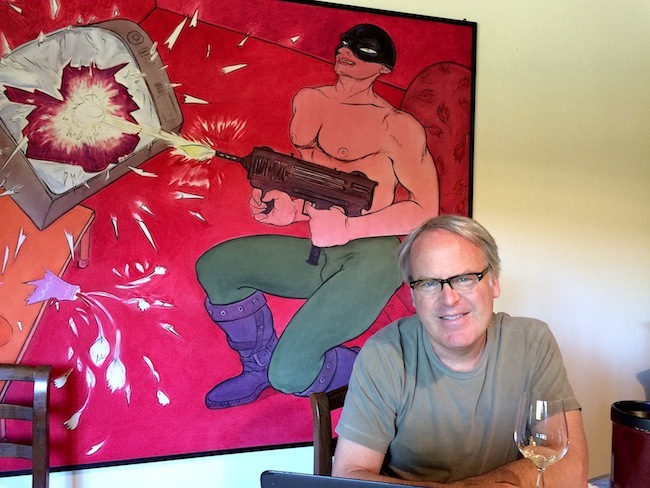 A hefty controversy on Facebook that blew up yesterday makes it essential for me to make a clear statement about the way I am scoring German and other wines at JamesSuckling.com, for which I am a contributing editor. My major reports about the Mosel, Rheingau and Rheinhessen have already appeared on the website and similar reports about the Pfalz and the Nahe will appear shortly. A major report on the nation’s Spätburgunder/Pinot Noir reds will follow before the end of the year. Of course, the other regions of Germany will follow in due course, but they export little and this is the reason that they are lower down the list of priorities. Anyone can read the text of all my reports on JamesSuckling.com by going to the website, and a few of the most spectacular scores can be found in those texts. However, to read my thousand plus published scores and tasting notes you’ll need to take out a subscription first. I suspect that almost nobody taking part in the controversy already has a subscription, and that they are therefore ignorant of the range of scores I have given. The first point to make is that I certainly don’t only give 90 plus scores. However, if the great majority of wines submitted for a report like that on Rheinhessen deserve scores of 90 plus then this is what they get from me. The score always reflects the quality of the wine and should never be swayed by the name of the producer and/or region, the vineyard, vintage, or the personality of the producer or anything else. JamesSuckling.com is completely committed to that principal. No less crucial for us is the principal that under no circumstances does a wine producer ever pay to have their wines reviewed. During the last year I was also on the road with James Suckling in Bordeaux and Spain where I tasted and rated wines ranging from products that land on supermarket shelves for less than Euro 10 per bottle right up to 1er Grand Cru Classé and Vega Sicilia. I was also on the US West and East Coasts where I tasted hundreds of wines, plus a smaller number of wines from locations scattered around Planet Wine. My ratings for German wines place them fairly within this global context, which I see without any nationalistic prejudice or favoritism. In fact, I consider nation states in the 21st century to be largely illusory, and it is therefore absurd to have wine preferences on that level. During the last year and every wine that amazed, delighted and electrified me rated 95 or more, and each of the wines that I instantly fell in love with on encountering them rated 100. That is how JamesSuckling.com defines great and perfect wines respectively. Of course, others are free to adopt different definitions, use different criteria and the reader/consumer will decide whose notes and scores they prefer. That is what the free press and the free market economy are all about. The cause of the current controversy was the 95 points I gave to the dry 2016 Riesling 1896 from Weingut Carl Loewen in Leiwen, Mosel, or rather the fact there’s a difference of 6 points between my score and that in the printed guide to German wines just published by the Mondo press of Gerhard Eichelmann (see page 725).I actually prefer the 2015 vintage of it (if anyone wishes to sell bottles I’d be delighted to buy them! ), which I gave 97 points to. That 89+ score was given by his assistant Wolfgang Fassbender, something I was not aware of when on I rhetorically asked on Facebook if Mr. Eichelmann was in a coma when he tasted the wine. I used this drastic expression, because for me this is a very special wine – it has a very special character and style – that has been made since the 2012 vintage by Christopher Loewen using methods that imitate those used a century and more ago. Of course, that in itself makes the wine taste different. The ungrafted Riesling vines from which the grapes are harvested was planted in the great Longuicher Maximiner Herrenberg site back in 1896 and this is therefore genetic material from way before clonal selection began. And this too results in a different character to wines made from modern clones of Riesling. What’s my problem with that 89+ score? Of course, it’s a personal opinion and entirely justified as such. However, to me it’s also part of a pattern of scoring wines particular to the printed German wine guides. To me they seem to be absurdly cautious about giving more than one point more to the new vintage of a particular wine than they did to the one before. That already makes their entire rating system inherently conservative and non-responsive. In contrast, I want to respond openly to each individual wine and rate it accordingly. To this must be added the way they rate producers in hierarchies, in Eichelmann’s case with a five star system. Weingut Carl Loewen has four stars, which is a good rating. The problem with these producer hierarchies is that they seem to influence, or even dictate, the maximum score that each individual wine can receive. If a producer with only one or two stars (other guides use different symbols, but the principal is the same), then they have almost no chance of getting a 90 plus score, however stunning their wines taste. If, on the other hand, a producer has five stars, then 90 plus scores seem to be no problem even when the wine doesn’t taste that special. Of course, this is the opposite of what I am doing. The result is that the average ratings for all the wines in each of the annual guides has inched up only slightly since the turn of the century. That is radically out of step with the reality in the glass though, the average quality of the wines reviewed having increased much more dramatically than the scores. As a result of the way this scoring system works a great many wines are underrated. The problem with all of this is that it suggests to the normal reader that nothing much has changed out in the wine world in recent years, rather than that the stasis results from the systematic conservatism of the guides. Beyond this, a score of 89+ for one of the best dry Riesling of the 2016 vintage in the Mosel and Germany – I am not alone, it is also the view of JancisRobinson.com (Jancis works with Michael Schmitt in Germany) and Weinwisser (Giuseppe Lauria is the taster in this case), to mention just two – could be misunderstood as implying that Weingut Carl Loewen is only worth something like 89+ points. This extrapolation could conceivably be extended to the whole region. My own rating for that wine can rightly be understood also as praise for Christopher and Karl Josef Loewen’s winemaking skills and as praise for the amazing leap in quality the Mosel winemakers have collectively made since I started following them back in 1984. It has been a joy to see all these talents blossom and untold thousands of consumers around the world respond to these wines. 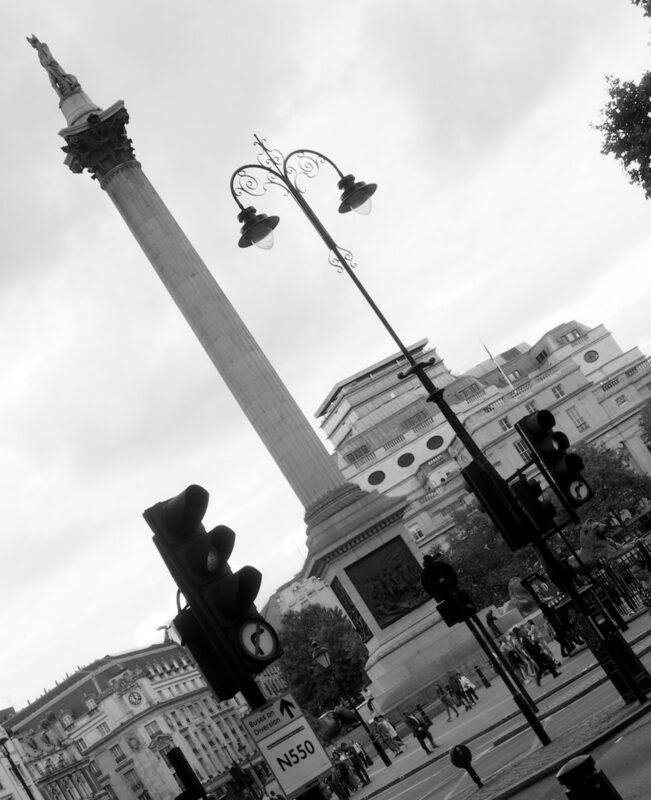 The photo above shows the seven meter high bronze sculpture Really Good by David Shrigley that currently occupies the Fourth Plinth in Trafalgar Square in Central London. Of course it shows a massive, phallic thumbs up, but for what? In the following all dates are this year unless otherwise stated. Could there only be a hundred hours to go before we awaken from our collective nightmare? 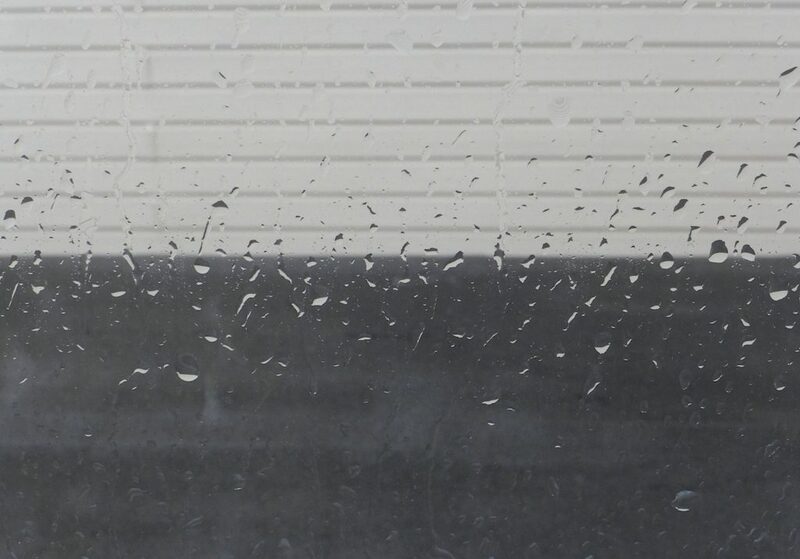 Maybe it doesn’t seem that bad after all, but such a short-cut to the sunshine seems totally impossible. Maybe the fear and loathing will only last a hundred days? Let’s face it we British will be extremely fortunate if that’s the case! It’s far more likely that the Brexit disaster movie will continue to run for a full hundred weeks longer – reel after reel, an Everest of reels! – or that we’re in the worse case scenario of this bizarre shadow-boxing-rerun of World War II and every other British War: Agincourt come back,we love you! If that’s the case then we’re in for the long-term and it could be almost six years, or maybe it could even keep going for another Hundred Years. Almost every day I’ve been shocked anew when I read the news from the UK, although I’ve been following hard-core Brexitism since the campaign for the referendum about Britain’s to decide the nation’s future began – within the EU including all the compromises associated with that, or a nostalgic return to Splendid Isolation – and I’ve therefore become seriously desensitized to it. 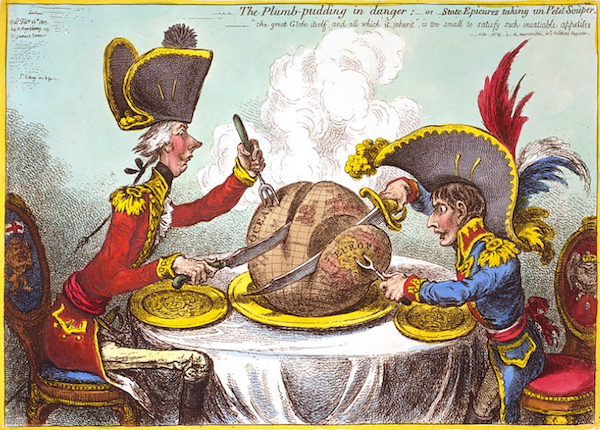 In spite of that process, I could have written a hundred stories about this form of GREAT Britain Your’re Invited!, punching-above-our-weight, let-the-British-lion-roar collective madness, but mucking in with the warmongers is something I forbade myself long ago. Then I spotted something that as a cultural historian brought up with liberal and humane principles I couldn’t avoid commenting on, because it seemed crucial to understanding what’s happening in the UK now. Perhaps the most important force leading the country up to the cliff edge of hard Brexit with as yet unquantifiable consequence is what I call Brexitspeak: the aggressively nationalistic, manically utopian and stridently xenophobic discourse that now fills much of the British media. During my recent visit it seemed to be seeping into daily life on all sides through myriad cracks in the decaying edifice of the nation’s erstwhile political pragmatism. Even if the majority of people in Britain just want the whole mess to go away, a large number now want action of some (often unspecified) kind, there are some who want bags of EU swag and a few seem thirsty for blood. Yes, Back to blood! Let us unite against every single them on the Continent now! My moment of gruesome revelation came when Philip Hammond, the Chancellor of H.M. government, said of the Brexit negotiations with the EU in an interview on Sky News on the 13th October, “The enemy, the opponents, are out there. They’re on the other side of the negotiating table.” It was Carl von Clausewitz, the author of On War, who famously observed that “war is the continuation of diplomacy by other means”, and diplomacy is fundamentally about negotiations. That one of the few circumspect figures in a cabinet dominated by vain and unprincipled opportunists with no respect for the facts should descend to this war-like tone is shocking in itself. However, what pushed him to do so makes plain just how dangerous British politics have become recently. We are on a slippery slope, it’s steep and it descends in the worst possible direction. Let me explain why that’s my conclusion. Just the day before Hammond uttered those words – shortly afterwards he retracted them, replacing “the enemy” with “our friends and partners in the EU” – ex-Chancellor Nigel Lawson said of Hammond, “what he is doing is very close to sabotage,” and an editorial in The daily Mail newspaper called for Hammond’s dismissal for this very reason. Fear of that personal cliff edge towards which he was being pushed drove Hammond to adopt the language of the hard-core Brexiters, although previously he previously scorned their naivety. That’s a phenomenon I’m familiar with from journalistic history where it’s referred to as self-censorship. For example, in communist East Germany there was almost no direct censorship, rather the entire media ran on self-censorship by journalists and editors, and it dealt with more than 99% of the “problems”. This is precisely the kind of mechanism that has begun to get a grip on Britain, and for this reason I fear that Brexitspeak will soon be the dominant discourse of the entire land. I didn’t choose that name for the new language of hate in my erstwhile homeland on a whim. It is derived from Newspeak, the ascendant language in the mega-state of Oceania in George Orwell’s novel 1984. After some research I’m convinced that the origin of Brexitspeak lies in the articles Boris Johnson wrote for The Daily Telegraph newspaper when he was their correspondent in Brussels between 1989 and 1994. Let me quote at some length what his French contemporary in Brussels Jean Quatremer had to say about this in The Guardian of 15th July, 2016. But even this incisive scathing analysis is focussed primarily on the man himself and not his creation, on “Dr. Frankenstein” rather than his monster Brexitspeak, which is now a many-headed hydra infiltrating innumerable nooks and crannies of British culture. That mean my mother tongue is now fast becoming the equivalent of Oldspeak in Oceania, and this argument can therefore be easily dismissed by Brexiters as old-fashioned. The truth is that we are one small country with just shy of 1% of the global population, but also with a major track record for colonial aggression and slaughtering foreign civilians in droves as we saw fit (just look at all the colonial wars Britain fought post 1945, never mind before), and an atomic arsenal that could rub out more of them by the millions. 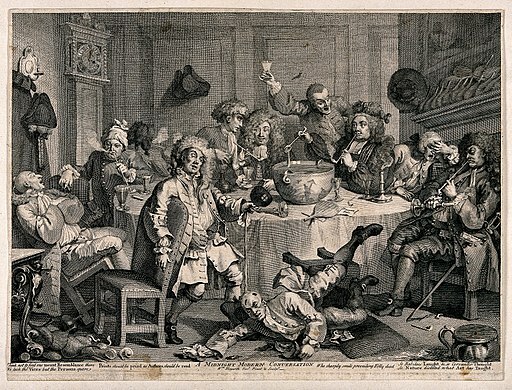 That was quite a dangerous bowl of punch beforehand, but combined with the grandiose delusions of the hard-core Brexiteers – behind which obviously lurks enormous self-doubt – that could literally become an explosive cocktail. All it would require is an authoritarian and xenophobic leader who whipped up popular hate against some kind(s) of them. Fascism is the belief that there are simple solutions to complex problems, as long as Big Brother’s orders are followed unwaveringly and without hesitation regardless of the direct cost and collateral damage. On the 11th October Sky News reported that a Sky Data poll had just revealed that 74% of the British people support the H.M. Government’s position that if “necessary” the UK will leave the EU without a deal. 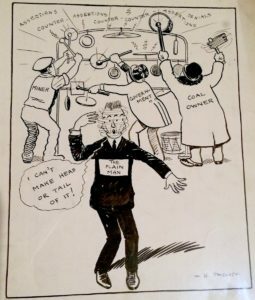 This widespread mood makes it almost inevitable that no deal will be the result of the negotiations, which would create a deep rift between Great Brexit and “the Continent”, as it was already referred to during my childhood. Who will trust the UK after that? Who will lend them money or invest in their industries? Quo vadis pound sterling? And how many actual enemies will the UK have on the other side of what was once the negotiating table? Or elsewhere? For hard-core Brexiters all this is just the predictable negativity of a sour remainer. 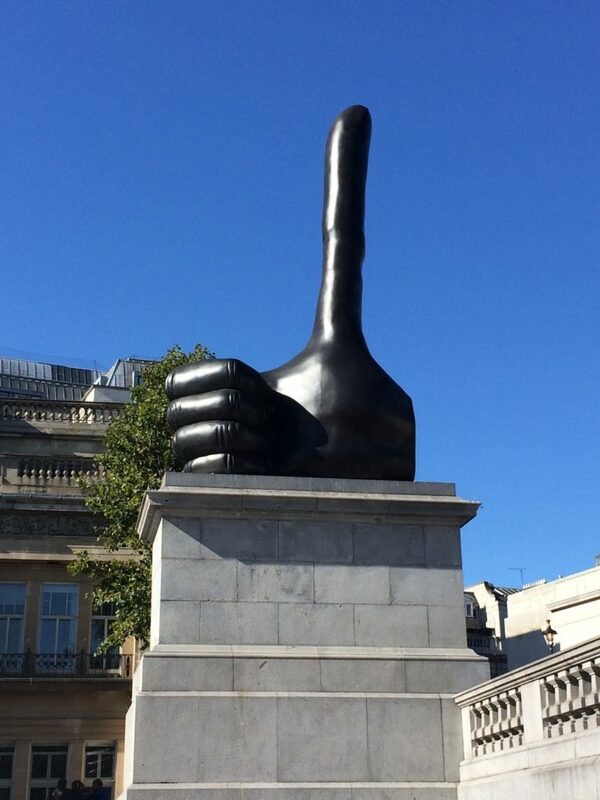 For them only the most massive and phallic thumbs up is enough and David Shirgley has given it to them. Let’s face it, in their eyes anything less than this would treasonous, just like as it was for Big Brother in Oceania in 1984. How can the current drift towards fascism, confrontation and maybe even war be stopped? I wish I knew. If you are wondering what all this has to do with wine, then let me conclude with another quote from Boris Johnson’s article My Vision. He also thinks that Brexit, “will mean a bigger market in the UK for everything from Italian cars to German wine.” Of course, that’s more Brexshit of the kind that has persuaded me to apply for German citizenship.